This book addresses an important issue for scalability of measurement networks and user friendliness for network operators: Plug and Measure. Concepts of IEEE 1451 as well as OGC Sensor Web Enablement (in particular SensorML) will be analyzed. Special attention is given to interfacing and integrating sensors, which do not conform to any standard Plug and Play protocol, which is the vast majority as of today. 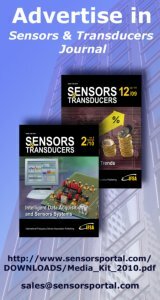 Based on these ideas, prototypical software for Sensor Level Plug and Measure (AnySen) will be introduced. AnySen was developed at the Austrian Institute of Technology (AIT), funded by the European FP6 Project SANY and Austrian measurement network operators. 1999 - 2010 Copyright ©, International Frequency Sensor Association (IFSA). All Rights Reserved.